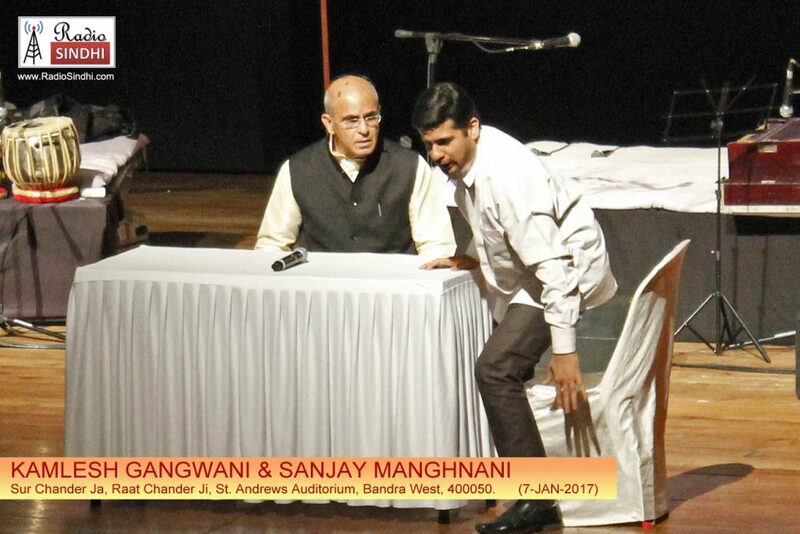 dadmin has written 18 articles so far, you can find them below. 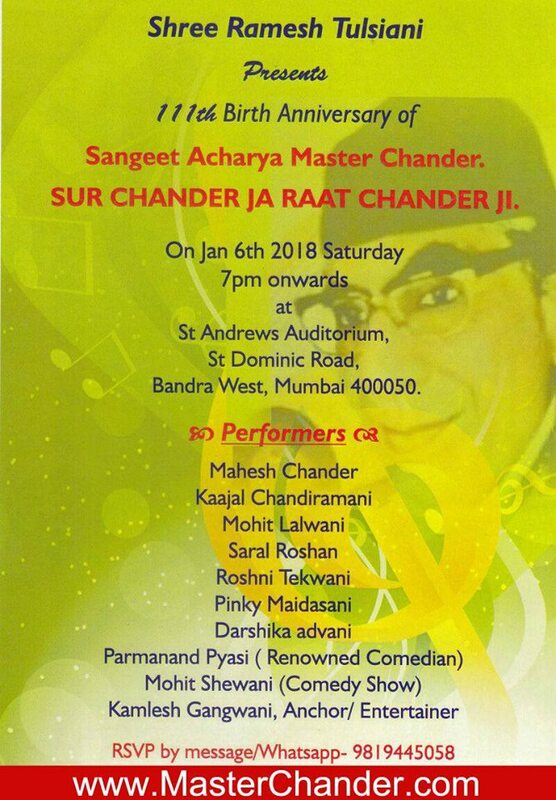 111th Birth Anniversary of Sangeet Acharya Master Chander Sahib on Saturday, 6th January, 2018 at 7:00pm sharp at St. Andrews Auditorium Bandra (W), Mumbai 400050. 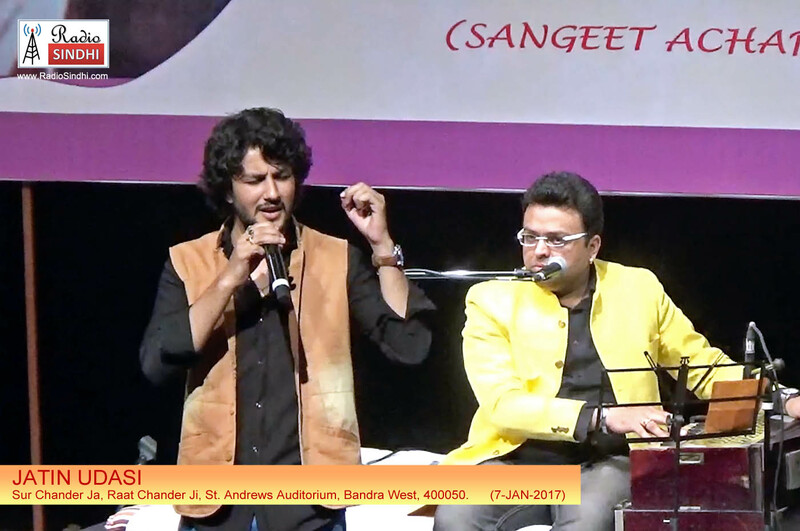 New Young artists to perform with new variety of songs. 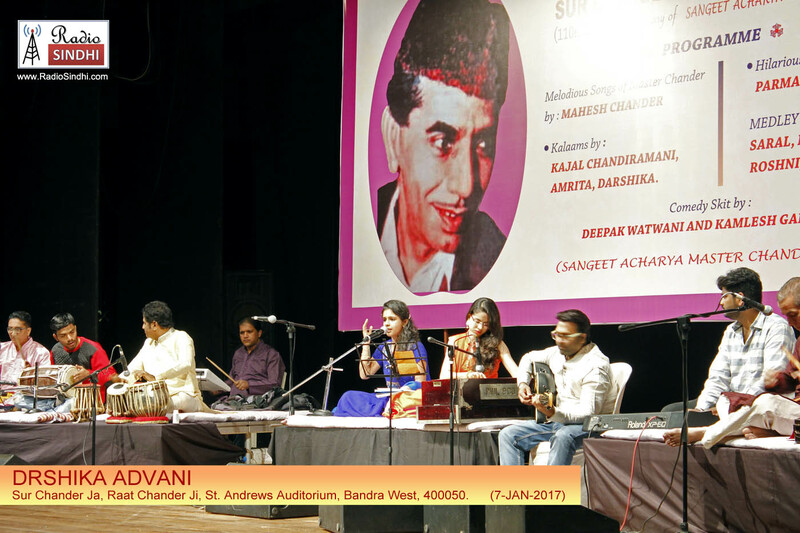 7th January, 2017 at St. Andrews Auditorium. 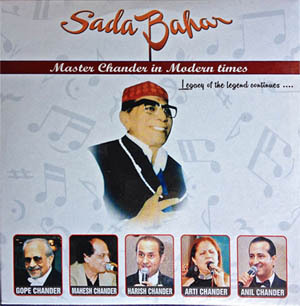 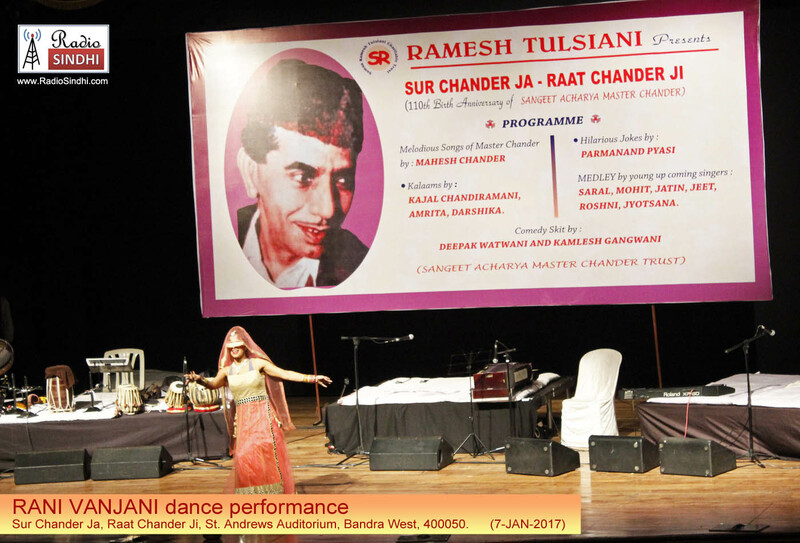 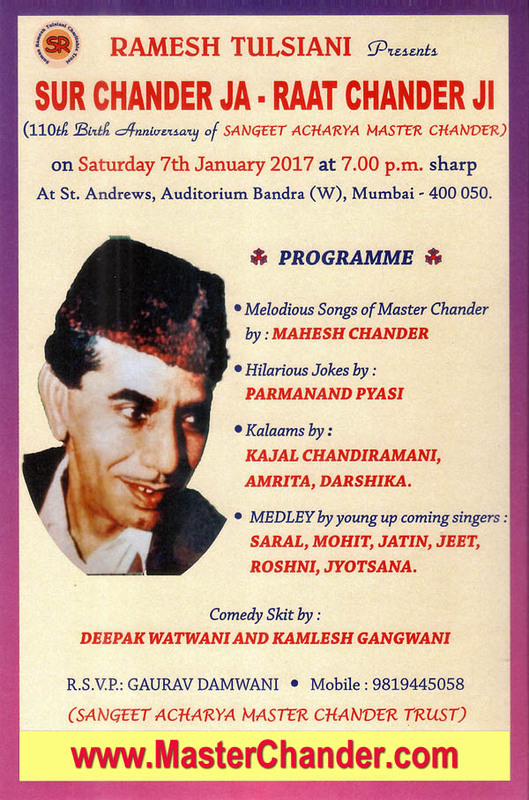 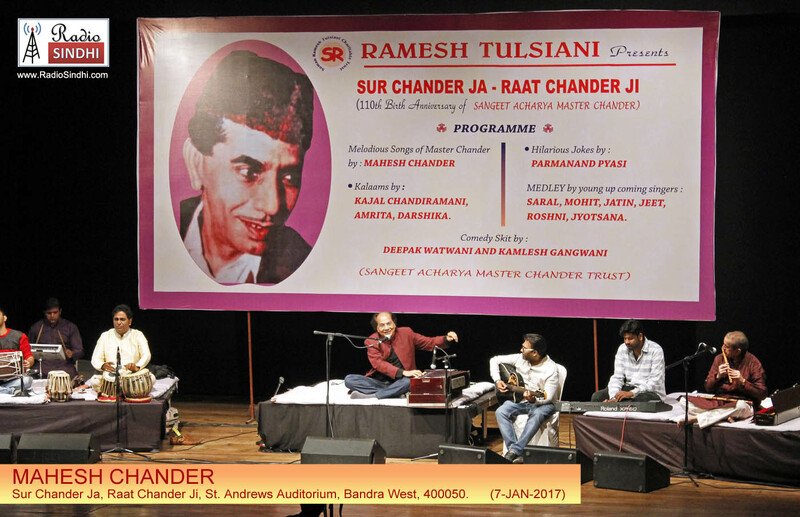 110th Birth Anniversary of Sangeet Acharya Master Chander Sahib on Saturday, 7th January, 2017 at 7:00pm sharpm at St. Andrews Auditorium Bandra (W), Mumbai 400050. 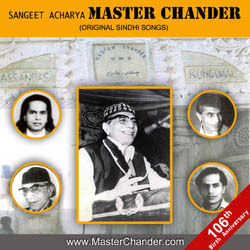 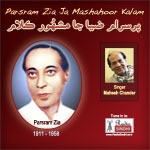 Master Chander Sahib once said “Mue Khey Keru Marindo, Maa Jiyaran Kha Tutal aahiyan, Jiyan wara piya Maranda, Maran khaa maan chutal ahiyan”. 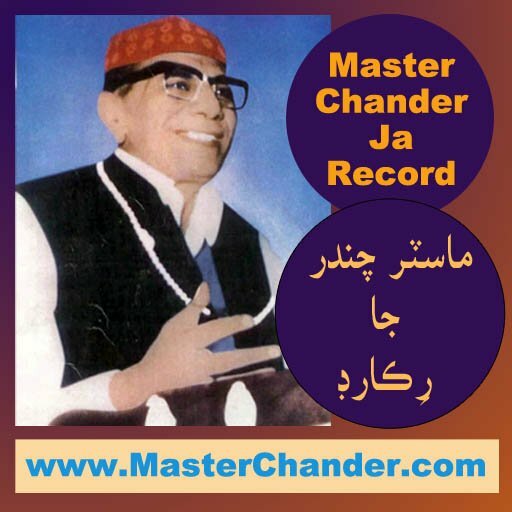 Diso Ajju Master Chander Sahib khey wari keru jiyare rahiyo aahe. 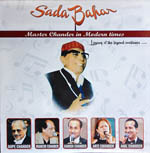 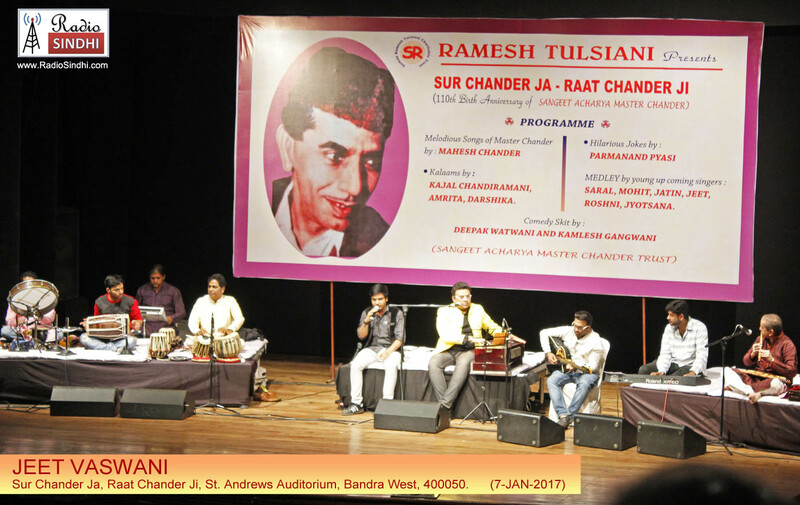 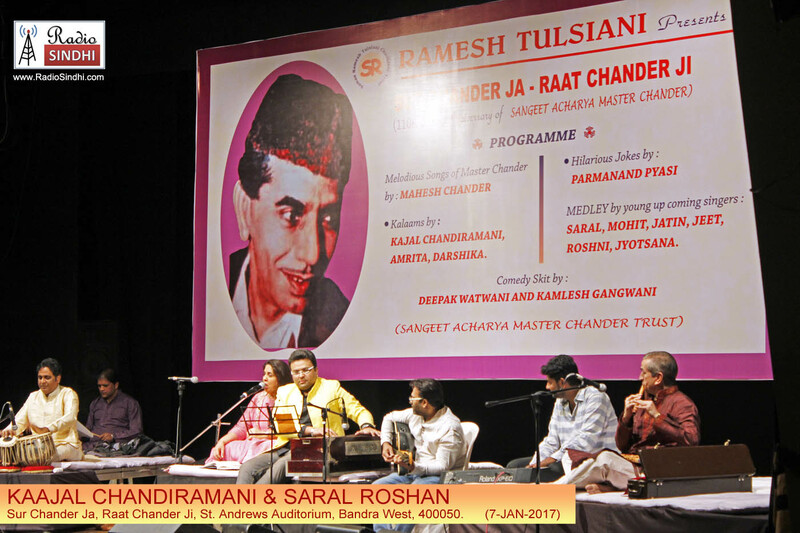 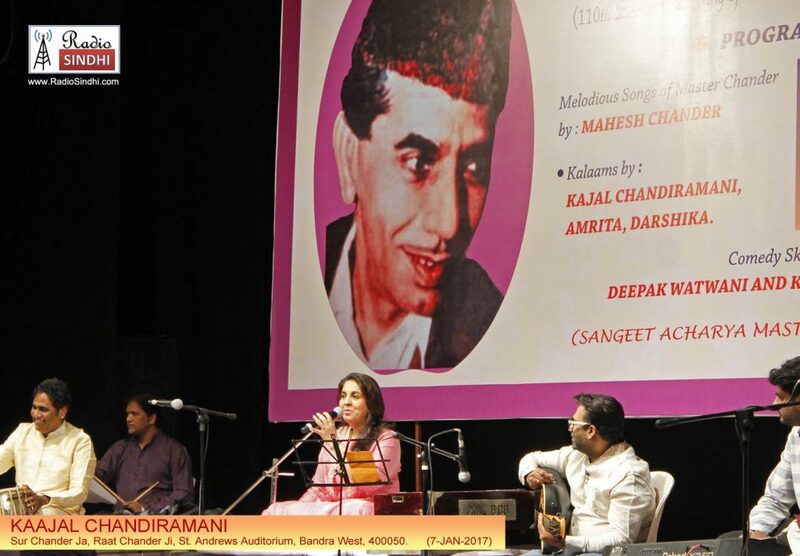 Jatin Udasi & Manjushree Assudani Tejwani along with Kavita Israni & Jatin Vaswani has made this wonderful mashup with the timeless songs of Master Chander.